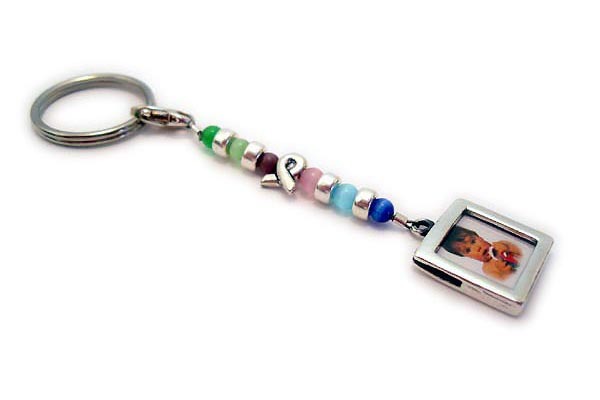 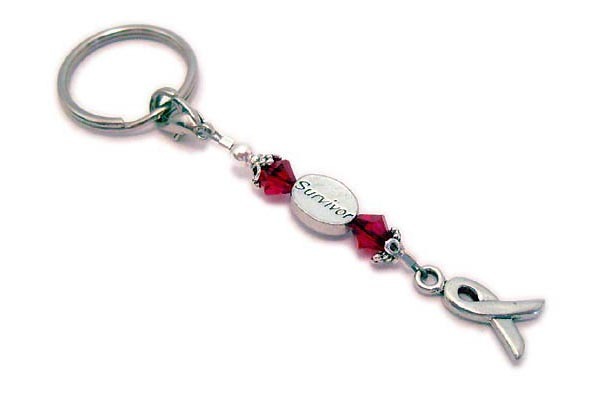 We offer sterling silver and pewter ribbon charm and picture frame key chains on our cancer awareness key chains. 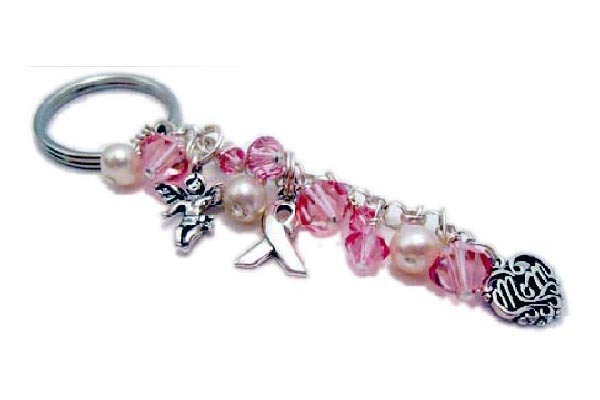 The Ribbon charm represents awareness and hope for a cure for all cancers. 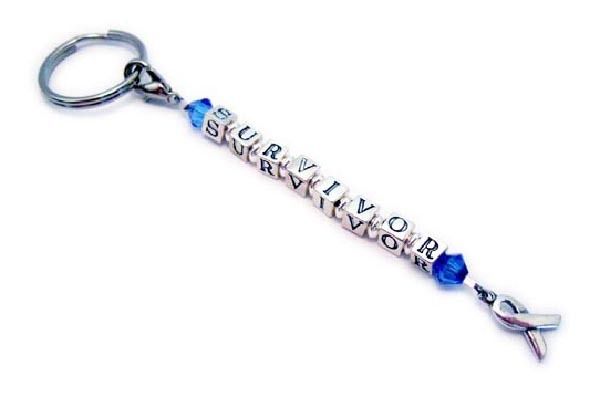 You can put words on any of our designs to mark important milestones; 1 year survivor, 5 year survivor, 10 year survivor.